Can you believe it? I finally got around to doing a set of bat nails! I had been intending to do bats for a while now but everything that I tried just was not working with me. Finally, I came up with this mani idea. It's a bit of a deviation from a standard Halloween bat manicure, but I dig it. I hope you do too. For these nails I started with a base of OPI Skull and Glossbones. I used two coats of that. Then I added on two coats of China Glaze Ghoulish Glow. Then, with a small striper brush, I painted on the wings in China Glaze Street Chic. I freehanded them. Then I added on the white strips of ... bones? cartilage? tendons? whatever those things are made of... in China Glaze White On White. I added the black shading randomly in China Glaze Liquid Leather, and then roughly painted on a tiny bit more brown over the white strips to make them look less clean. The eyes were done in the same colors. THEN, to be sassy, I added another layer of Ghoulish Glow over all of the white areas. 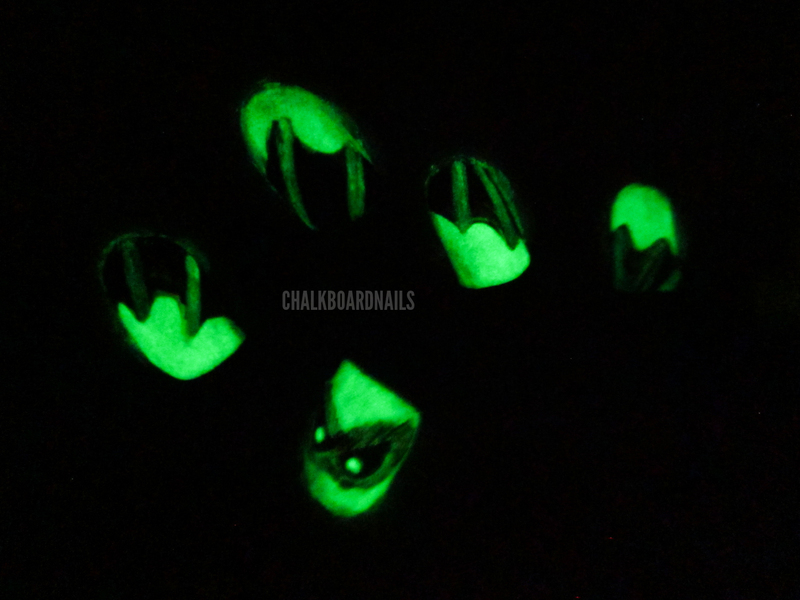 The addition of glow in the dark to my bat mani was actually a request by a reader on my blog Facebook page! Thanks Karlee A. for the great suggestion, the glow really makes this unique! OMG!!! AMAAAAZING!! I love the glow in the dark effect! 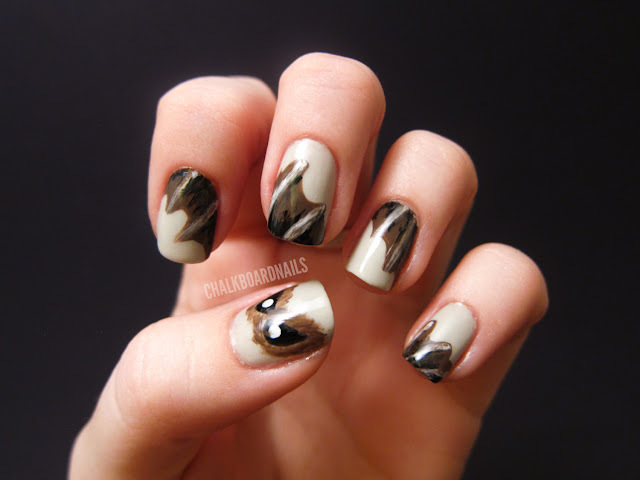 You're so great at nail art! This is amazing! Can I have some of your talent? 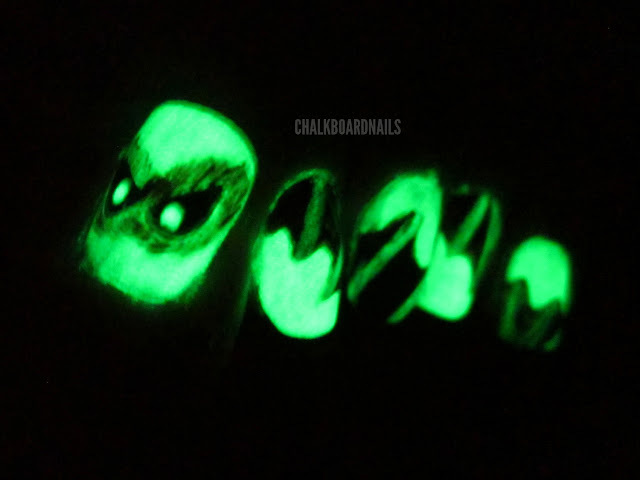 cool how you added the glow in the dark polish! This is so freaking cool! I LOVE it. 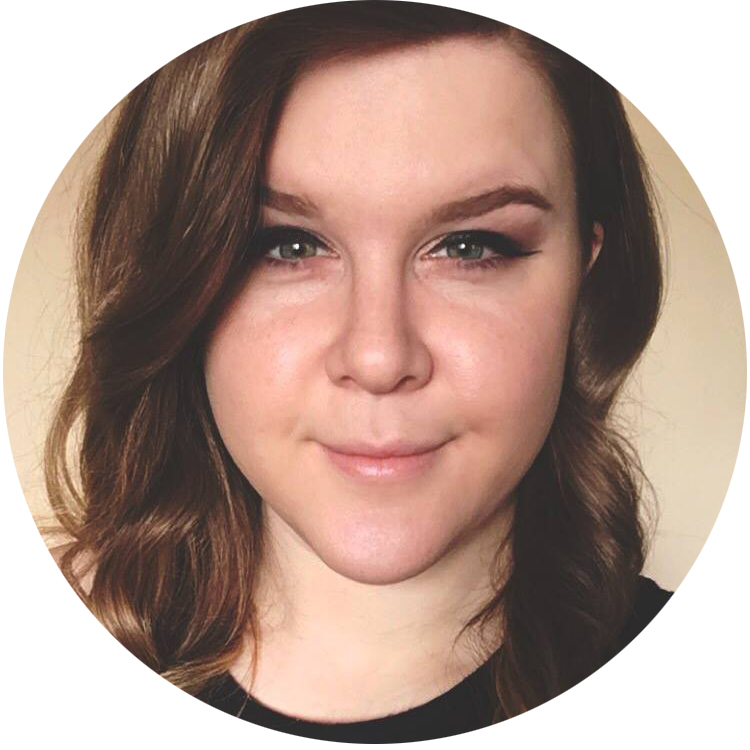 This looks so good, Sarah! I like that it's a little abstract. 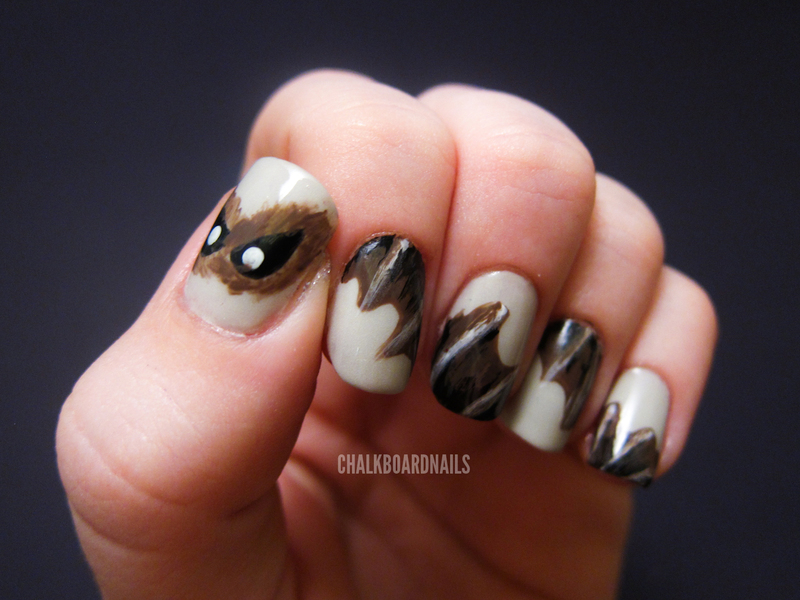 I mean, bat wings aren't what I'd typically call pretty, but this mani is really gorgeous! This is too awesome!! I love it! Those look so cool. You did a great job! OMG you come up with the most amazing ideas ever!! Omg I love these! They're really great! Wow! The wings are amazingly drawn! I love how it glows in the dark as well. So creative! These are cute! I keep coming back to look at these!! !